A great collaboration provides effortless communication. Here are 5 best design collaboration tools to achieve timely feedback and get design work approved. To collaborate and share design concepts over email can be frustrating for designers, and that’s where design collaboration tools come in handy. A great design collaboration can provide effortless communication and allow for transparency among your team, and there are a bunch of collaborative tools online to make it easier to get feedback and approve artwork in a professional & timely manner so as to achieve great design collaboration. Here, we’ve made a roundup of the best design collaboration tools which make sharing feedback and design concepts a breeze, no worries about the remote work any more. 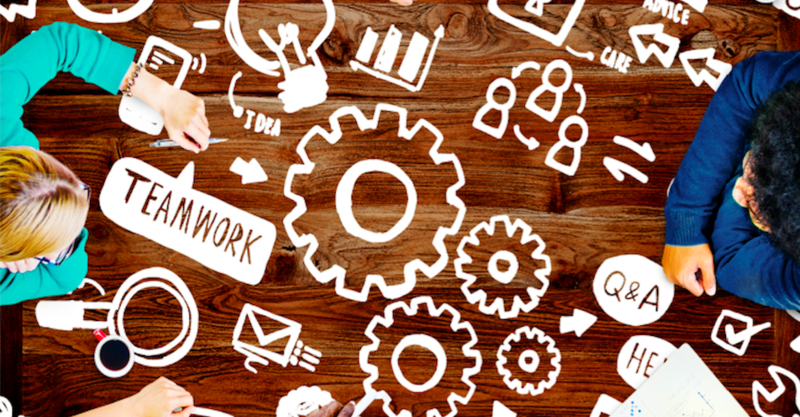 If you’re a freelancer or in a small agency, then this list will be perfect for you. This tool is familiar to those who need make prototyping design, but InVision is also a great collaborative design tool. With a rich set of tools, such as Crafts, Boards, Insight, this tool makes it pretty easy to get real-time feedback among team, know about the most recent project progress, and design user design navigation effectively. Taking example of LiveShare, it’s rather intuitive and convenient for multiple users to make online reviewing and project comments on the same project by simple drag-and-drop. 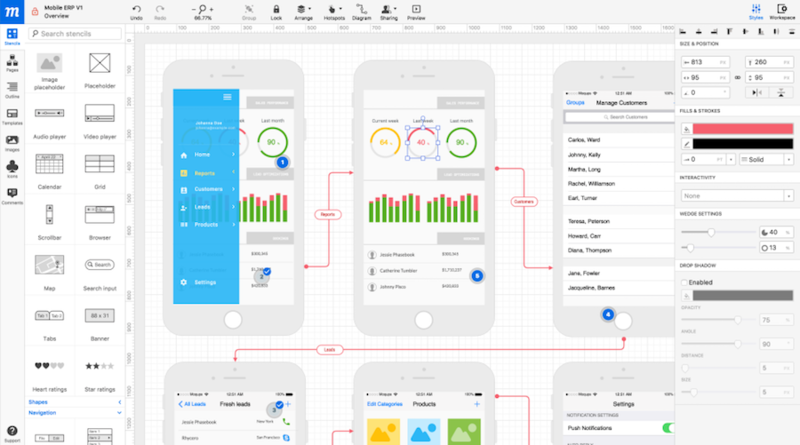 Mockplus, an all-inclusive prototyping tool for all platforms, has become a rising star in the competitive industry of prototyping tool for its functionality and simplicity. It lets users make online reviewing and have page revisions in real time, with no limit on the team members. Not only does it let users make online comments on the project and page, but also makes it possible to set page editing permission with password-protection option. 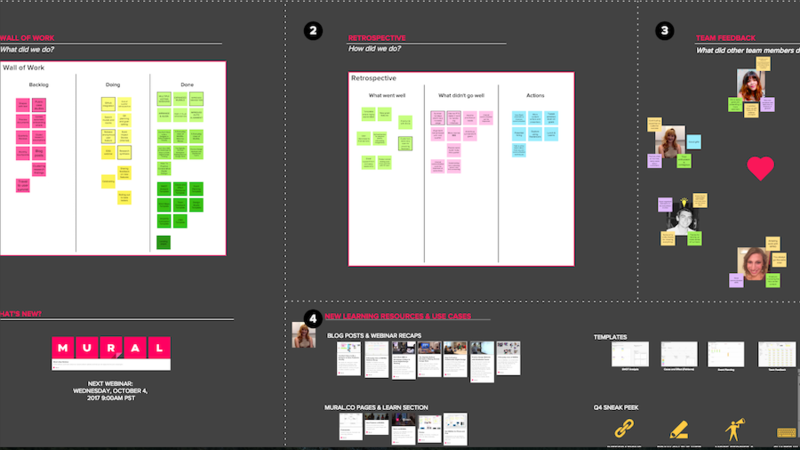 It's also one of the best UX design collaboration tools. 1. Create a team project and get it synced to the cloud for remote sharing. 2. Add the team collaborators by entering their email addresses and sending email notifications. 3. Open the team project from the client. 4. Get page editing permission and make project editing on the project at the same time. 5. Publish to preview it and invite others to make comments & remarks. If you have ever used Google Docs for work, then you will adapt to this tool with ease. Basically, this is a commenting tool that allows the team to provide input which is related to usability and design flaws. One of its best features is that the software will automatically keep track of the numerous versions, with no login required. A downside is it has strict limits on the number of project and needs enhancements on interactivity and feature diversity. 3. 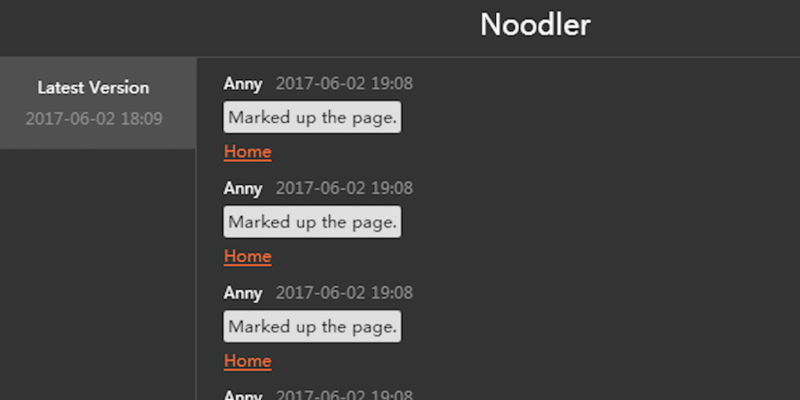 Click anywhere of the screen to add notations/comments. As its name hinds, Mural provides a big HTML5 drawing whiteboard for users to collect inspiration and gather team feedback, by simply dragging and dropping rich media files, links and documents. It’s not just designed as a pinboard like Pinterest, it’s incredibly easy-to-use and helps to streamline your collaboration process. Its advantage lies in the visual aid system and it lets people voice their feedback, without fear of retaliation. 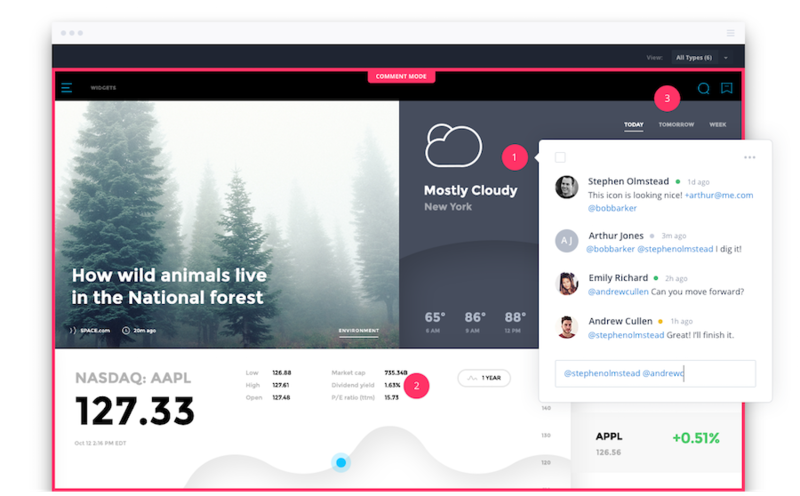 This software enables teams to collaborate on mockups, wireframes and prototypes, which makes it a universally-friendly platform for all designers to use. It has great integration to quite a few third-party collaboration platforms, including Slack, Google Drive and Dropbox. Most recently, it supports the server of Jira and Confluence. For designers, to know to collaborate and communicate with other teammates can not only improve work efficiency, but also reduce the workload a lot. 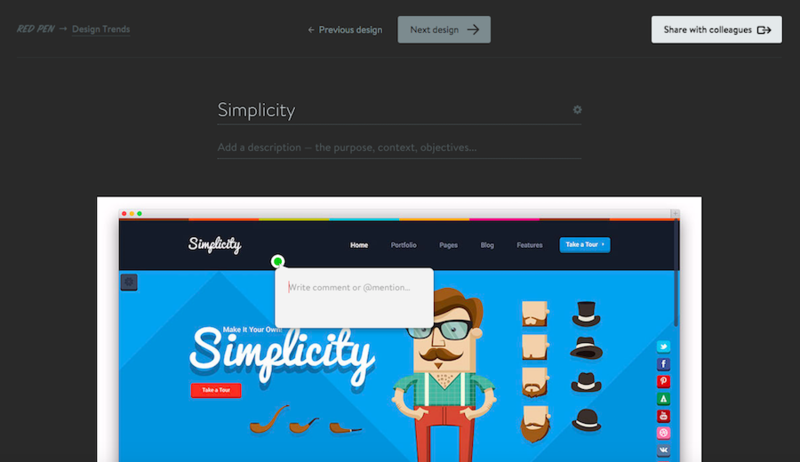 Above are the most recommended design collaboration tools which are powerful and easy-to-use. In regards to functions of collaboration and design as well as the limits on project and collaborators, Mockplus is the best solution for you to design faster with full support to your requirements.